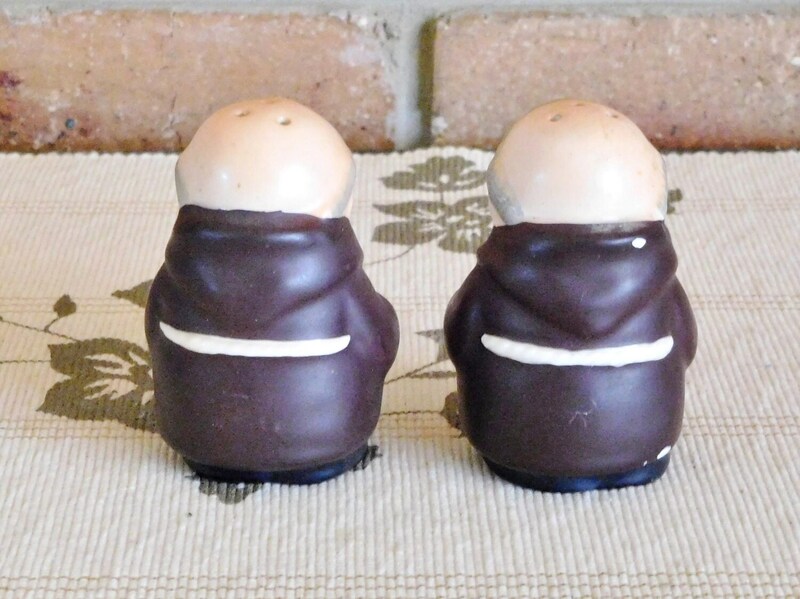 Goebel Hummel Friar Tuck Capuchin monk salt or pepper condiments pair, 1960s vintage, in excellent overall condition though there are miniscule areas of wear, and one has a slight chip at the base. 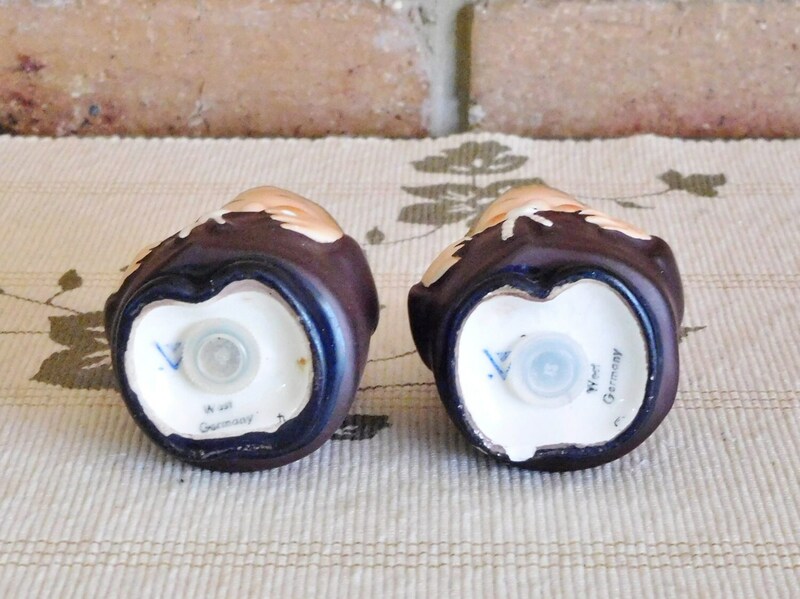 This is barely noticeable and does not affect the look or usage of this fabulous collectable set. 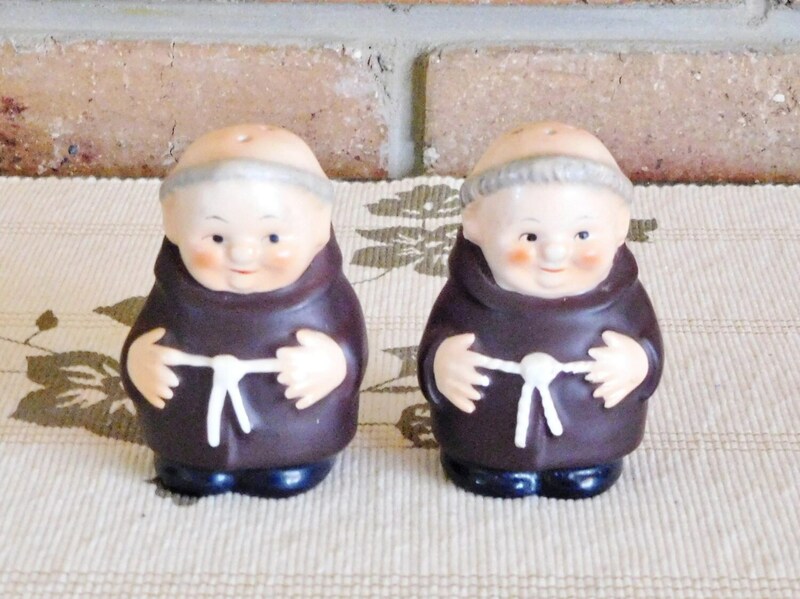 Each Friar has three little holes in his head, so technically they are both salts, though of course each is equally usable as either!